I do not believe that the news is there to spread falsehoods or perpetuate discrimination against any group, religious or otherwise. I understand that ABC is due to air an episode of 20/20 highlighting children who grew up in Scientology. From what I understand, this episode is spreading lies and is completely biased. I find it sad and disheartening that a news program with such a stellar reputation would broadcast a show without sharing the truth. I grew up in Scientology, with a mother who is a Scientologist and a father who is Catholic. I was raised to think for myself, challenge the status quo and to recognize truth when I saw it. I had my first communion and also went Clear. I studied at a Catholic university and I take courses at a Church of Scientology. The idea that Scientology is brainwashing anyone, let alone children, is ludicrous to put it mildly. It is obvious that people you have chosen to interview for this show are lining up for some sort of 15 minutes of fame, spreading lies about Scientology because it seems to be a trendy thing to do. Have you interviewed anyone who is an actual member of the Church? It would be so refreshing to see Scientologists sharing their experiences. There is a public Facebook page called Scientology Parent, hosted by Scientology parents. 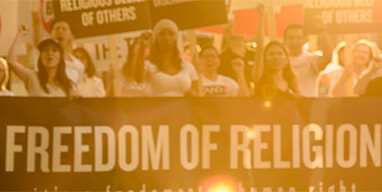 I encourage you to read this recent post on their website addressing religious choice. The news media plays a very important role in our society. It is there to inform, share stories, uncover the truth and educate people. I do not believe that the news is there to spread falsehoods or perpetuate discrimination against any group, religious or otherwise. Mr. Yellen, Do You Want Your Good Name Stained With Remini Hate?